The daffodils are giving way to the beautiful tulips which line many garden beds around the city. In Columbus Circle, I got down very low to accentuate the feeling of the blooms stretching towards the globe near Trump Tower. (lower left) With a wide angle lens (17mm), I also used a smaller aperture to keep things sharp from near to far (f11). 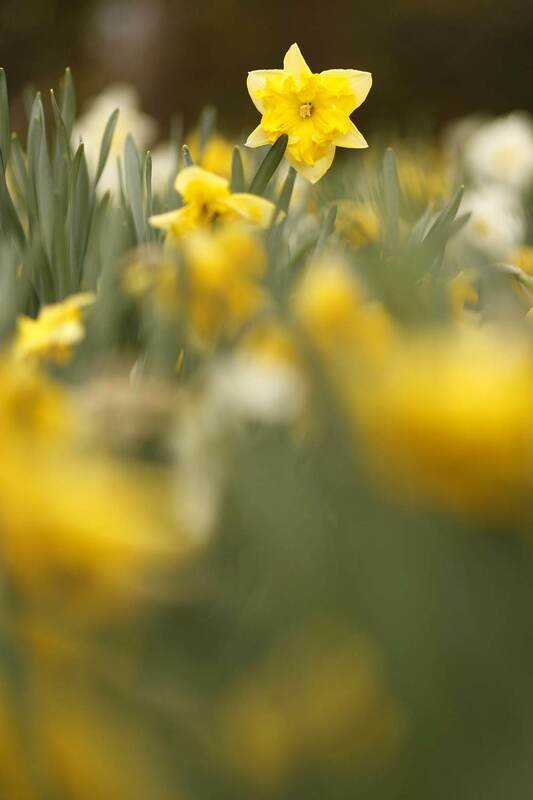 A low vantage point was also used to catch the lone daffodil which grew just a few inches above the rest. (lower right) This was done with a very shallow aperture of f2.8, and a 100mm macro lens manually focused in Live View. For more tips on that, check here. 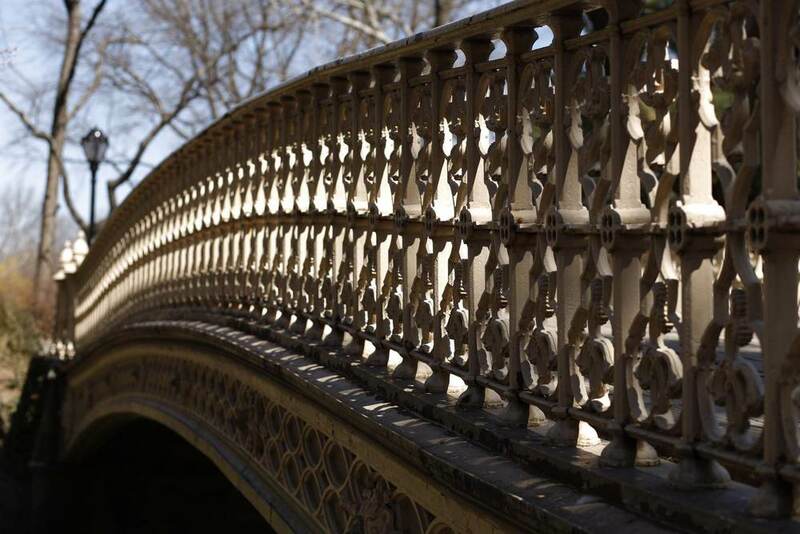 The way the light and shadows mingled helped to reveal the interesting patterns and character of this old footbridge in Central Park. When exploring a scene and "zooming with your feet", don't forget to get down and check the vantage point from a bug's point of view.